Grate cheese in a downwards motion. 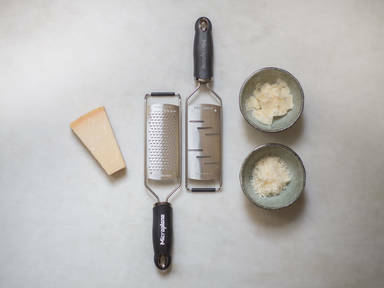 Use a fine grater for fine shavings and a coarse grater for larger shavings. Enjoy on salads, roasted potatoes, pizza, and pasta!